Spanish Day at Sarratt School. 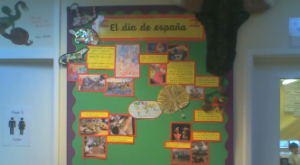 Sarratt School’s first Spanish day was held on the 18th January. On Spanish day each class did something to do with Spain and their traditions. Year 5 made a 2D bull head from paper mache; KS1 performed a Spanish song (crackers maracas) and a dance with maracas; year 3 sang a Spanish “Hola” song; year 6 made Barcelona and the years 3 and 4 did some Spanish cooking. Y5 studied a tradition called ‘The Running of the Bulls, also known as San Ferman.It is when people run from angry, wild bulls. The surviving bulls go to bullfight afterwards. At the end of the day, all the classes ate some Spanish food. Josh’s favourite food was the omelette, and Diya and Ella’s was the tortilla chips. 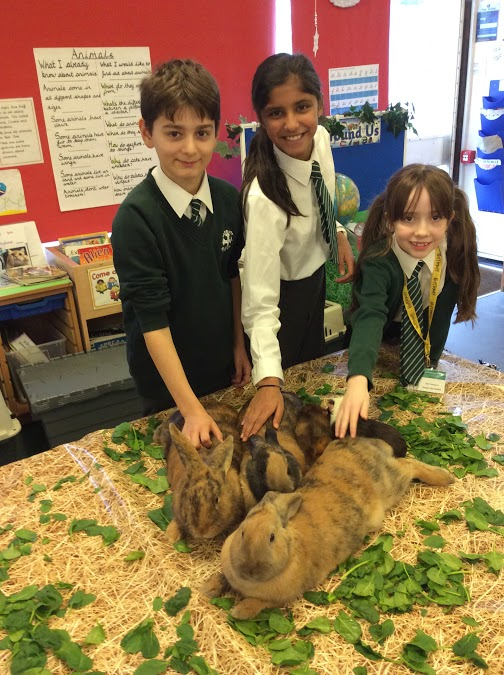 On the 29th December a lady named Krystal from Ark Farms came in to Year 1, joined by 13 animals: 2 hedgehogs named Shadow & Sonic; 3 rabbits named Tigger, Coco, and Fudge; a dog named Gopher; 2 sugar gliders named Immy and Romy; 2 guinea pigs named Wiggles and Scrappy; a tortoise called Toto; and finally an owl called Plop (after the Owl Who was Afraid of the Dark). Diya’s favourite was Coco the rabbit because she was stretching out being lazy. Josh’s favourite animal was Coco the rabbit too (he’s the best). Ella’s favourite was Tigger (because he’s the cutest thing you ever saw).